Adding to the exclusivity and collectability of the Blu-ray release is an HD, "Extended Cut" of "The Measure of a Man," which includes deleted scenes and different angles from the broadcast version. The original version of the episode is included, as well as a "Hybrid Extended Cut," combining the high-definition on-air version of "The Measure of a Man" with video of the extra material taken from an early VHS rough-cut of the episode that was in the writer's (Melinda Snodgrass) archives. The spectacular collection boasts a must-see reunion of the cast, who were brought together earlier this year in Calgary in celebration of the 25th anniversary of the series. 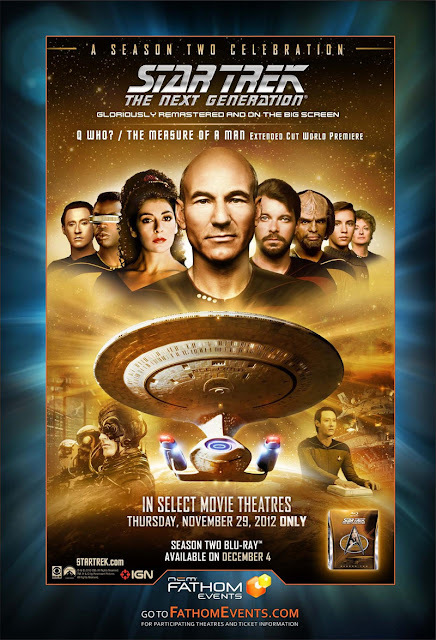 Produced exclusively for the series' Blu-ray, this never-before-seen reunion roundtable chat features all of the best known cast regulars, joining together for the first time in years to tape a discussion about the legacy of the series, including Patrick Stewart (Captain Jean-Luc Picard), Jonathan Frakes (Commander William T. Riker, LeVar Burton (Lt. Commander Geordi La Forge), Marina Sirtis (Counselor Deanna Troi), Brent Spiner (Lt. Commander Data), Michael Dorn (Lieutenant Worf), Gates McFadden (Dr. Beverly Crusher) and Wil Wheaton (Wesley Crusher). 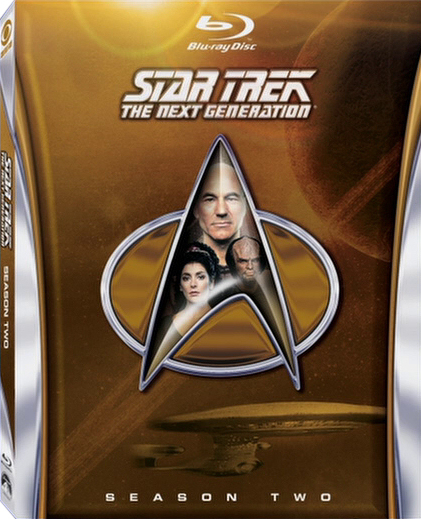 STAR TREK: THE NEXT GENERATION - THE SECOND SEASON also includes over 120 minutes of brand-new special features, including a two-part, in-depth documentary on the making of Season 2 entitled "Making It So: Continuing Star Trek: The Next Generation" - Strange New Worlds (Part 1), and New Life and New Civilizations (Part 2), and a gag reel that was created from newly recovered 35mm film elements and transferred for the very first time to high-definition. The 5-disc collection features all 22 episodes of the second season of STAR TREK: THE NEXT GENERATION, including the beginning of Whoopi Goldberg's notable recurring role, and the introductions of Diana Muldaur as the new ship's doctor and the deadly alien villains The Borg. You can see a disc by disc breakdown of all the extra feature, here on Trekcore. Unfortunately for the rest of the world this event is limited to the US again. If you're lucky enough to be American you can find your nearest cinema on Fathom's website. Best be quick though, the screening is tonight! CBS in the UK are apparently trying to find fans with Borg questions to do some sort of launch event too. Details at Trekcore if you can help with that. 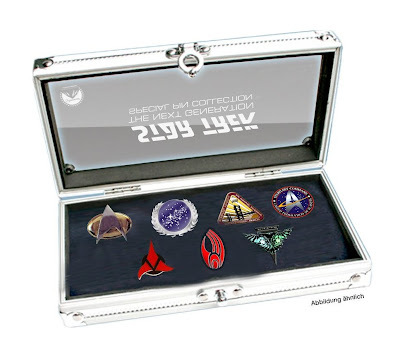 Each steelbook release is coming with a Star Trek pin badge; season two gets the Federation emblem. Here is the full set which, if you collect all the steelbooks, you will amass. Check back later for part two, where I'll be looking at some of the preview images, and picking out some highlights from the bewildering array of interviews that are around in relation to this season two release. Ugh! Why aren't they having these awesome Steelbooks come out in the states? Just to correct the article, the Season 2 screenings are being held in Canada, not just the US. Season 1 screenings were shown at select Canadian cinemas, too. Shame that the UK and Germany got stiffed, it's kinda dumb that they're ignoring 2 of their best markets. Erm, duh.